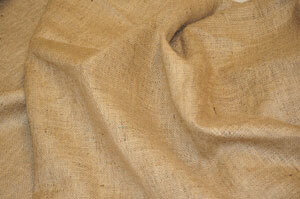 Order the Best Quality 40" Burlap Yards in Natural color. Burlap Fabric should be Spot Cleaned/Dry Cleaned. DO NOT Put Natural Burlap in your washing machine. Jute is a natural fiber and will disintegrate if fully immersed in water. Use cold water and mild detergent. Do not twist, wring, squeeze, tumble dry or hang in sun to dry. Instead, blot dry with a towel.